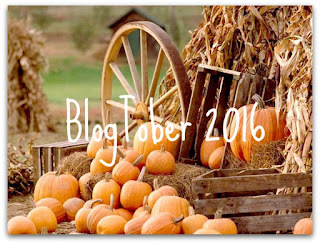 Hey guys this is my first year actually blogging and I thought it would be a perfect time to do Blogtober. Blogtober is when you blog everyday in the month of October I know it is going to be a challenge but Im up for it. I am hoping to improve my dedication to blog throughout the month. I plan on doing Halloween and Fall theme post whether it be tags, DITL, OOTD's, cook nooks, DIYS, or just a random post related to the season. If you have any ideas or your participating in Blogtober comment below your blog channel I would love to check it out. Stayed tune for tomorrows blog-post.